If you are truly a car guy and you are enthusiastic about your vehicle like we are, you can’t pass on customizing your headlights to make your vehicle stand out anywhere you go. 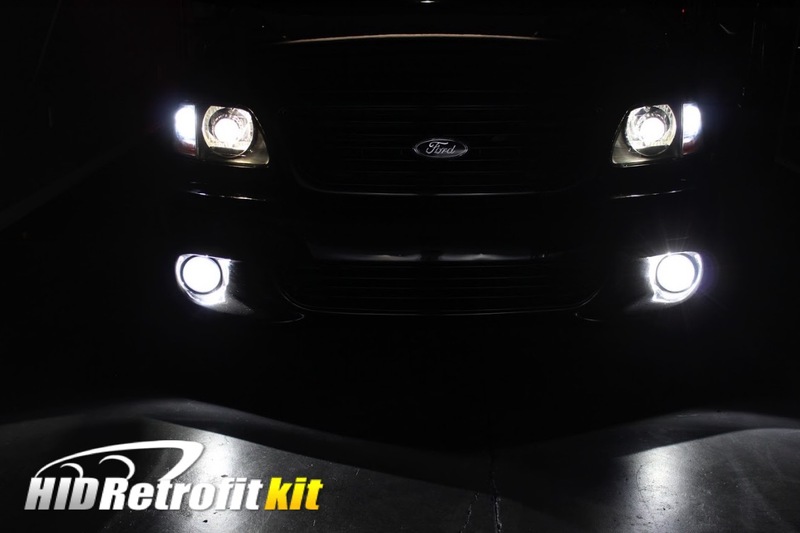 Get the FORD F-150 LIGHTING SVT RETROFIT PROJECTOR HEADLIGHTS by the best in the retrofitting business. True car guys build these products, and it’s our expression and dedication to the automotive world and the best way for us to connect with the rest of the auto lighting fanatics out there. HID Retrofit Kit is in the business of creating one of a kind custom headlights that truly perform by literally magnifying the power of your vehicle’s headlights to give you the best light output and a much safer driving experience by reducing the glare imposed by incorrectly altered headlights or even unrefined factory reflector headlights. We stand behind our customer above all and all our headlights come with a limited lifetime warranty. Usually, it’s a matter of bad handling when there is an issue and you can tell just by receiving the box. Even if it is not our fault our priority is that you are 100% happy so we will be eager to make it right. How do you know from a picture a product is well made? It’s almost impossible, our suggestion is to get feedback from other customers when building your headlights with any company just like when you buy any other product. Expensive headlights do not mean quality. We have had customers pay 3 times our price tag to other retrofitters only find themselves with a product that is wrong in every way that is simply a disgrace to the reputation of rest of us that are really putting over 100% on every single headlight we customize. We know your auto is special and our mission is to bring you even closer to it. Most don’t get how much the face of your vehicle can be upgraded with just the addition of quality retrofitted headlights and the amazing performance and value that adds up.